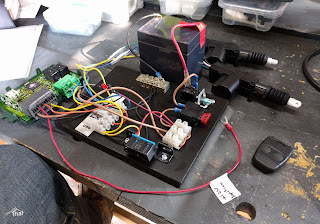 In one of my mad scientist moments I have rigged up a test board for the central locking set-up I want to install in Fender. Specifically I wanted to keep standard Land Rover style (c.1998) key fobs but add central door locking. This is the proof of concept (PoC) that I can configure a Discovery 1 Lucas 10AS immobiliser to work a third party set of door solenoids that I can fit in to our Defender. 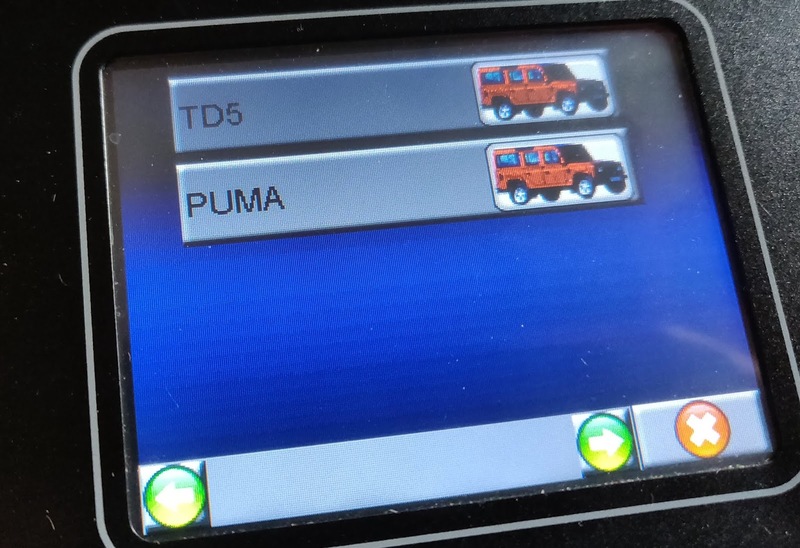 Land Rover models between 1995 and 1998, and a few years either side, used the Lucas 10AS immobiliser but with varying features enabled. The Discovery variants included central locking. Among other things, as part of the PoC, I needed to be able to set-up a remote control key fob (blip) with the Nanocom. 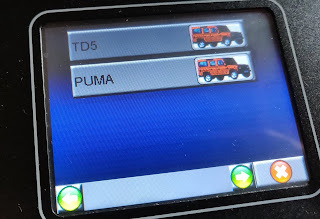 I've bought the add-on licence that allows me to have some of the Defender systems on my, otherwise, Discovery 2 (TD5) licensed Nanocom diagnostic tool. The outcome is that everything I wanted to test, worked. 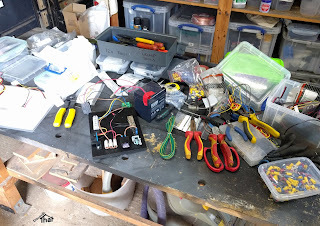 I now know which wires to connect and which way round to connect them. The 10AS is on the Defender TD5 menu. 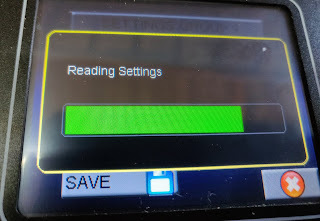 Before you start, always save the existing settings to an SD-Card. You can open them to get back to, what is hopefully, a working state. While the dialogue is on the screen press the plip buttons until the hazards flash or, if like me you are working on the bench, you hear the relay trip. All plips that you want to work have to be done at the same time because you cannot control which of the 4 plip stores will be used so you may or may not overwrite the existing plips. Just do one plip after the other. When all are done, press the OK button on the Nanocom. 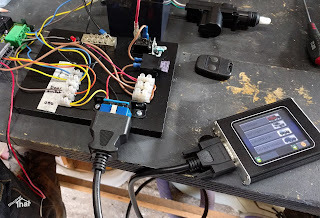 The plips will work immediately however I prefer to test with the Nanocom disconnected, just to be sure it has completed correctly. This caused me a lot of grief. There is a gotcha with this setting. 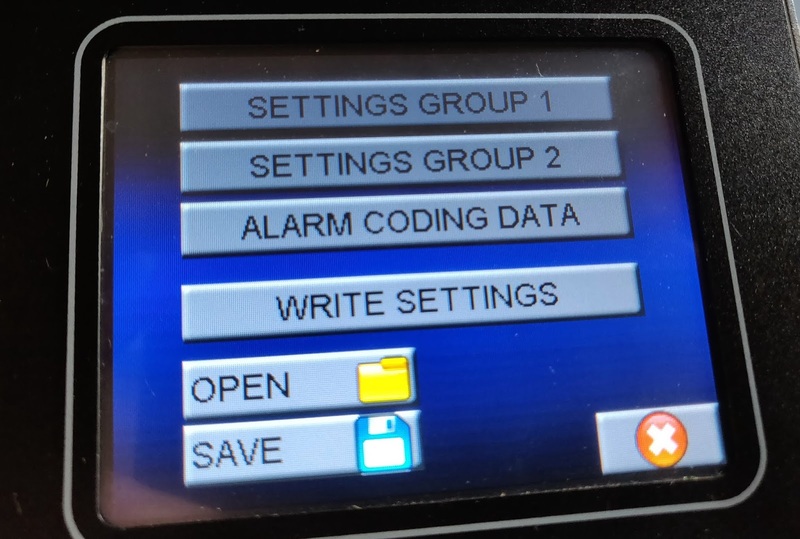 If you enable this when disconnected from the car, the plips will no longer work! It took me hours to find this out. I reverted all the settings and they worked, so I eventually set them one at a time until I found the one that caused it to stop working! I assume this is a security feature. I would guess that if the passive immobiliser coil is removed the 10AS goes in to immobilise mode and stays there. When I get it in the car I'll be able to test this theory. 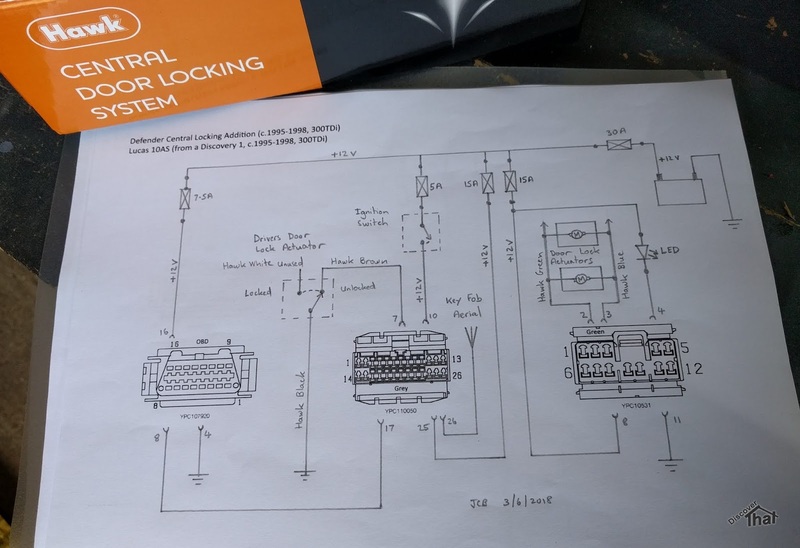 I believe it is the Freelander versions that do not have the parts included on the circuit for use with the passive immobiliser coil. You can't tell from the outside of the key fob. If you have the unsupported type you could disable the passive immobiliser in the 10AS until you get the right internals for the plip. "Not all 17TN keyfobs are the same. YWX101220 which is the correct part number for a defender has a built in immobilser chip as well as the radio transmitter. YWX101200 is a freelander 2001 on keyfob which hasn't got the immobiliser chip. " All the key fobs I have purchased from e-bay, that claim to work with a Defender, have worked correctly with the passive immobiliser. I was unable to change the setting for the name of the vehicle. 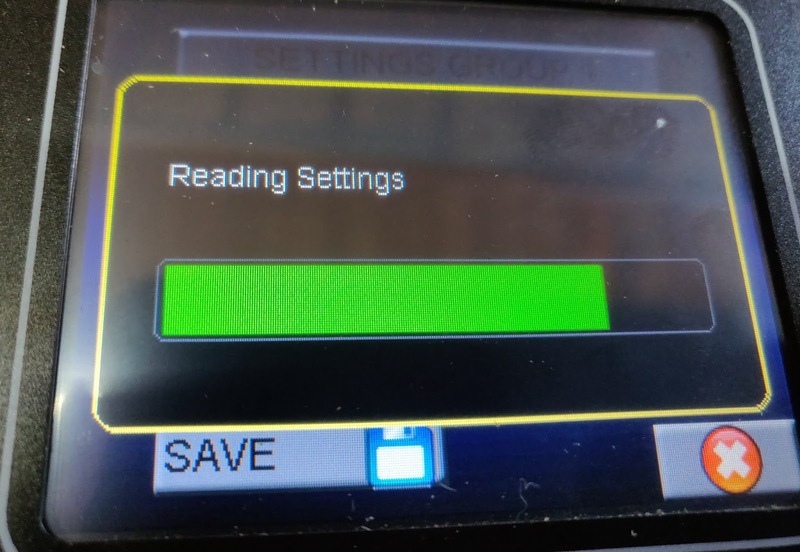 I was testing with a 10AS from a Discovery 1 and although the Nanocom would allow me to make the change to show Defender, when the settings were written to the 10AS, the vehicle setting reverted to Discovery 1. 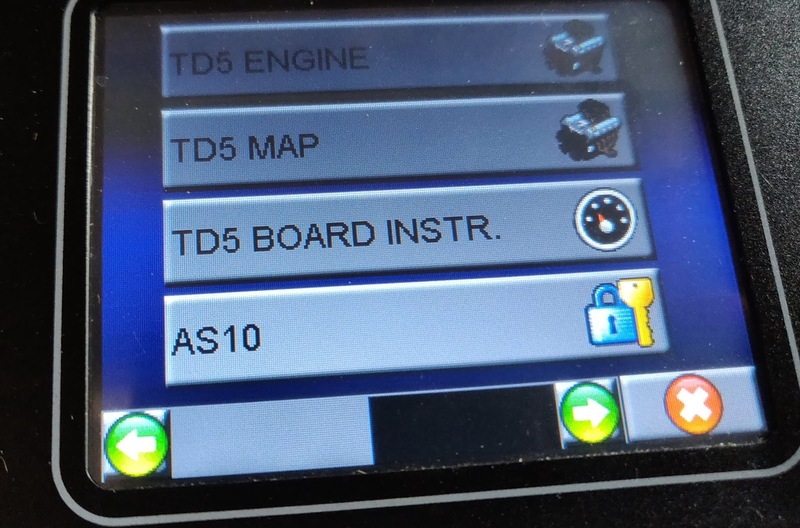 Using the Discovery 10AS in the Defender, the engine management warning light is permanently illuminated. All the functions work, that I have needed. I've checked the circuit diagram and the only thing that connected to that indicator is the 10AS. My guess is that, because I can't change the type setting, to indicate that it is a Defender, the 10AS is looking for equipment that is not attached. As far as I can tell, it does not affect the functionality required in a Defender. According to the handbook, the engine management warning light is supposed to flash if an attempt is made to start the engine while it is immobilised. I have never noticed it do that and more often the hazards will be flashing as the alarm will have been activated. Therefore, I am happy not to have that feature in exchange for being able to add central locking. 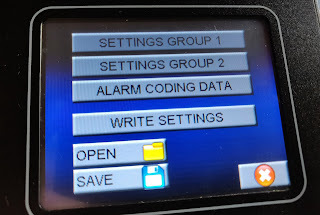 When you go to write the settings you get a second dialogue that asks if you want to save the Alarm Coding Data and warns that this is for the advanced. I now press 'No' on that screen, so only the normal settings are changed and not the advanced data. I am using educated guesses, so I do not quality as 'advanced'. 'Dangerous amateur' would be a better description. I have tinkered with the alarm coding data but with unsatisfactory results. I decided, as it was working, I would leave well alone, even though the entries looked odd.